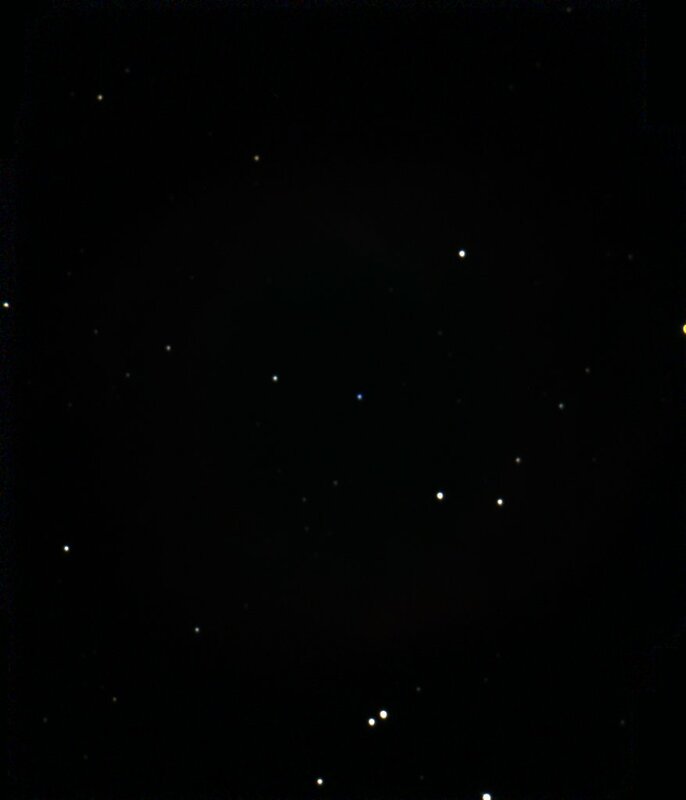 Kathy and I had a great time again at Calstar this year. 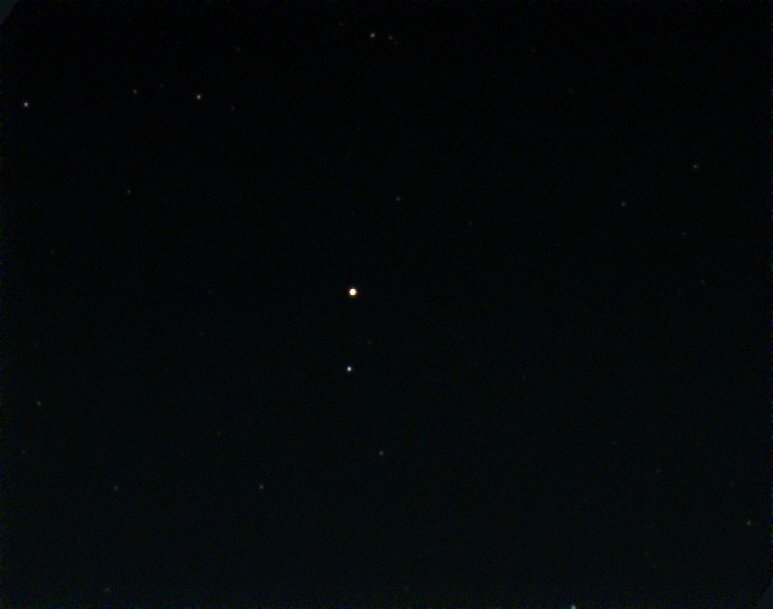 The weather was almost perfect-- just a few thin clouds on the first night but otherwise clear. 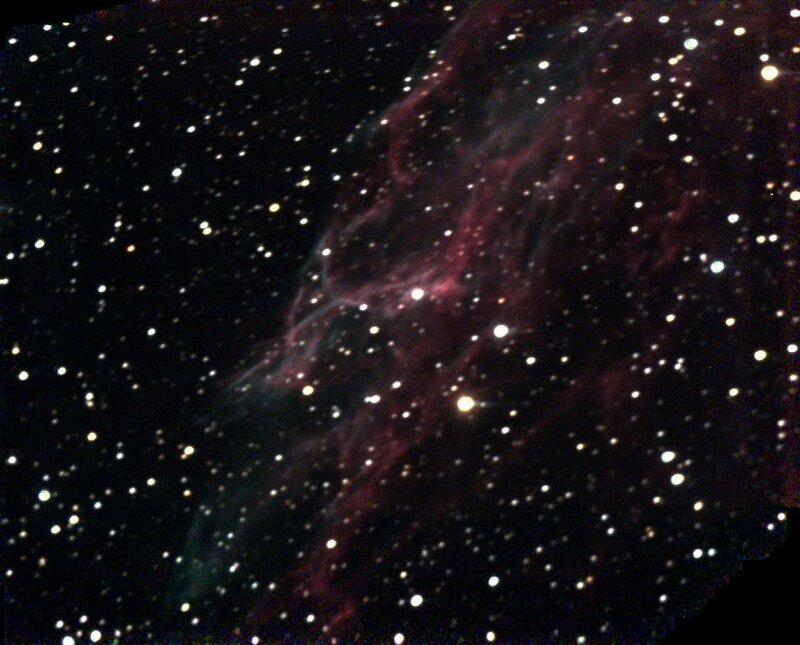 Last year we photographed many of the major well-known showpiece objects. This time we chose some more difficult objects, and some turned out better than others as shown below. 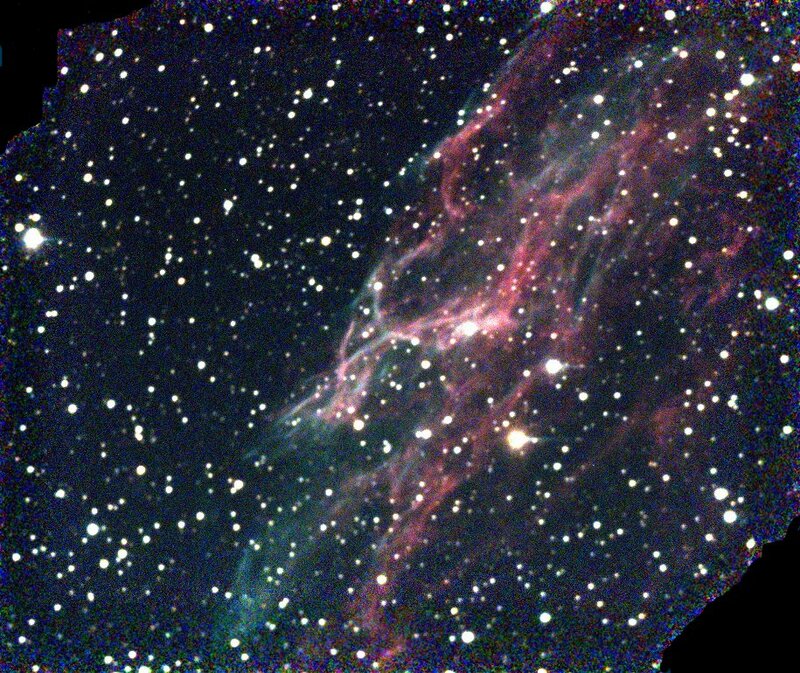 The same processing methods were used, so the intensity scalings given below can be compared directly with those from last year. 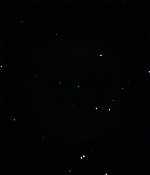 The black patch at center is Barnard 86, a dark nebula in the Sagittarius Star Cloud near the center of the Milky Way. 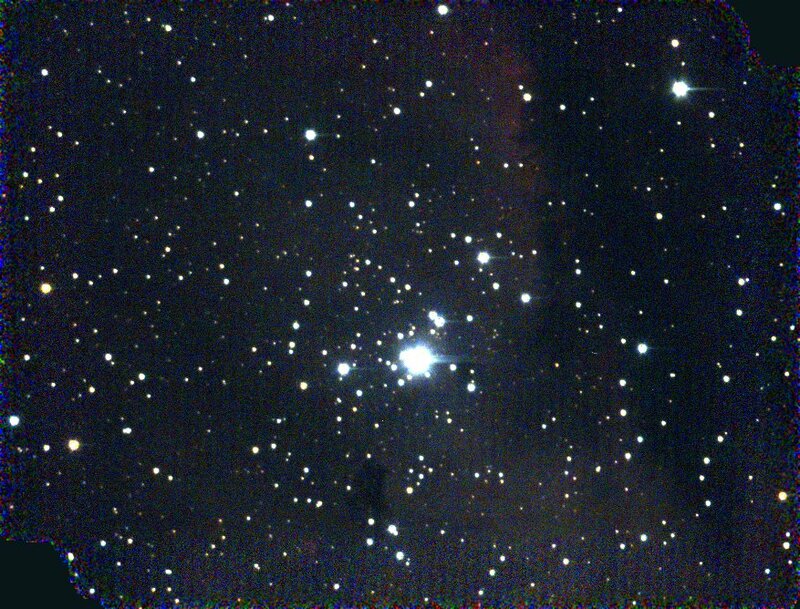 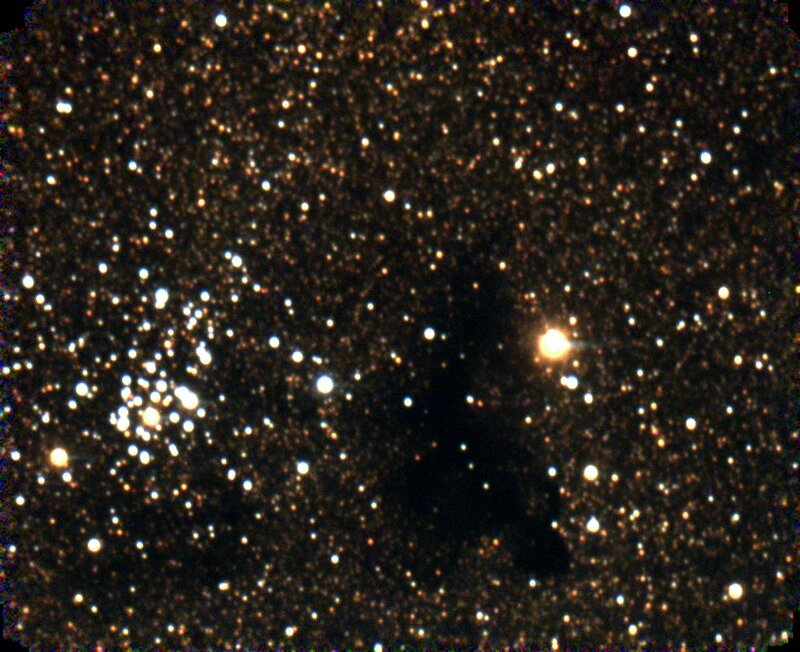 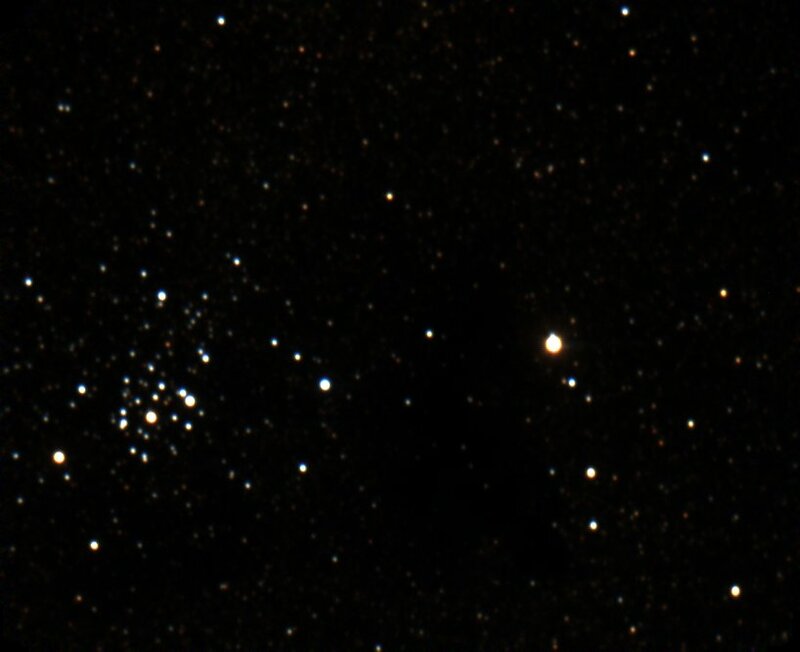 The star cluster to its left is NGC 6520. 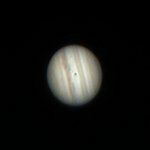 When we turned the telescope to Jupiter we were fortunate to see Io's shadow crossing the planet. Io itself could also barely be made out. 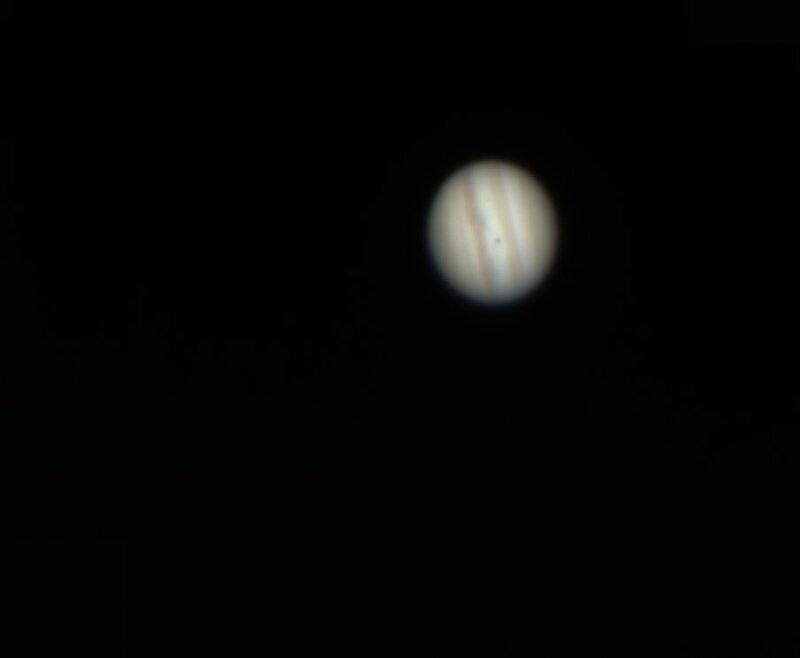 The seeing was good (compared with what we are used to around our apartment), and for much of the time we could see much more detail in Jupiter's clouds than appears in these images. The shadow of Io was also more distinct, quite black in the center. 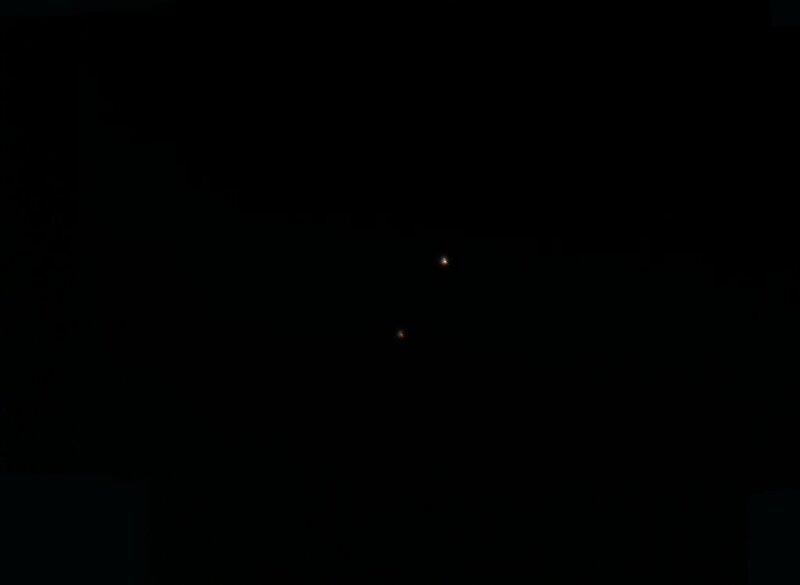 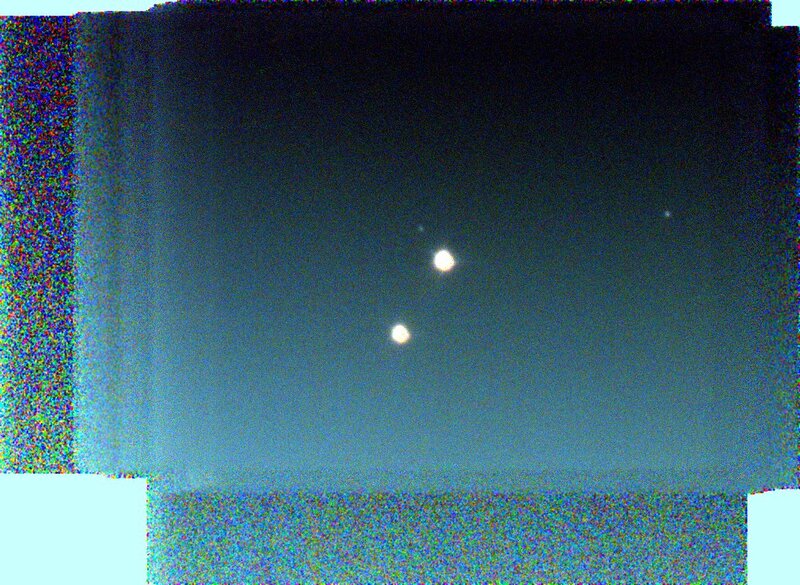 The degradation in the image is probably caused partly by the Barlow lens and partly by readout issues with the camera.  Over the course of ~1 hour, we watched as first Io emerged from the left side of Jupiter, and then the shadow completed its transit. 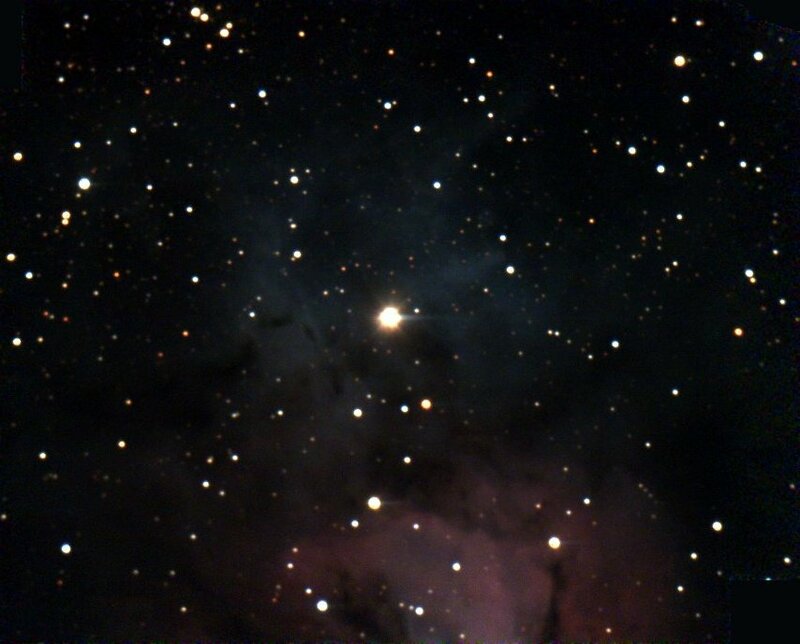 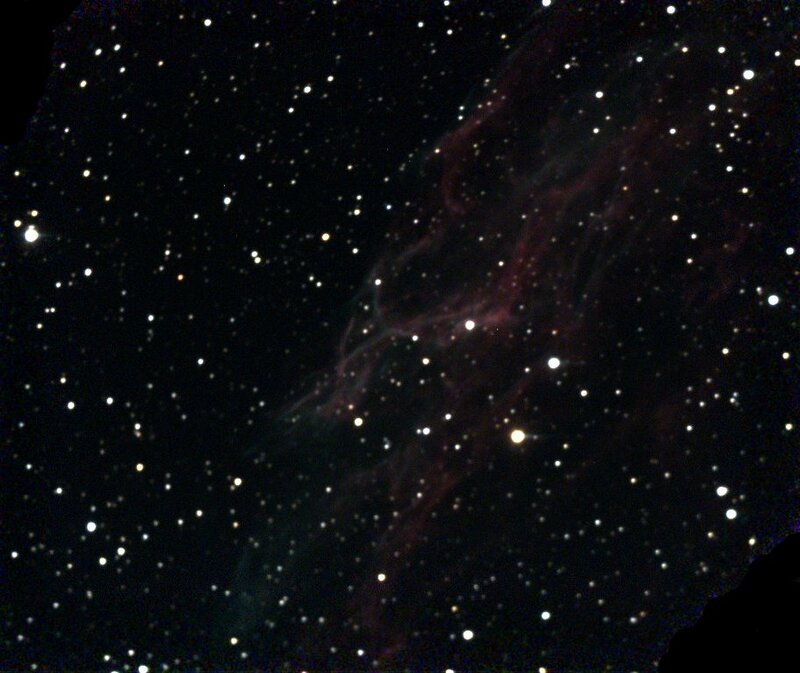 Diffuse emission and dark nebula near η Cassiopeiae. 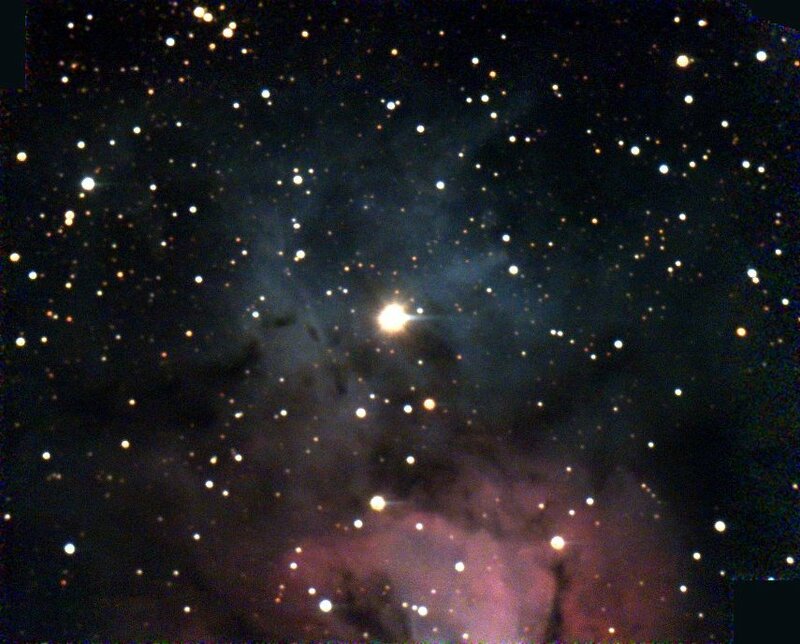 Though faint, the nebulosity could at least be made out visually. 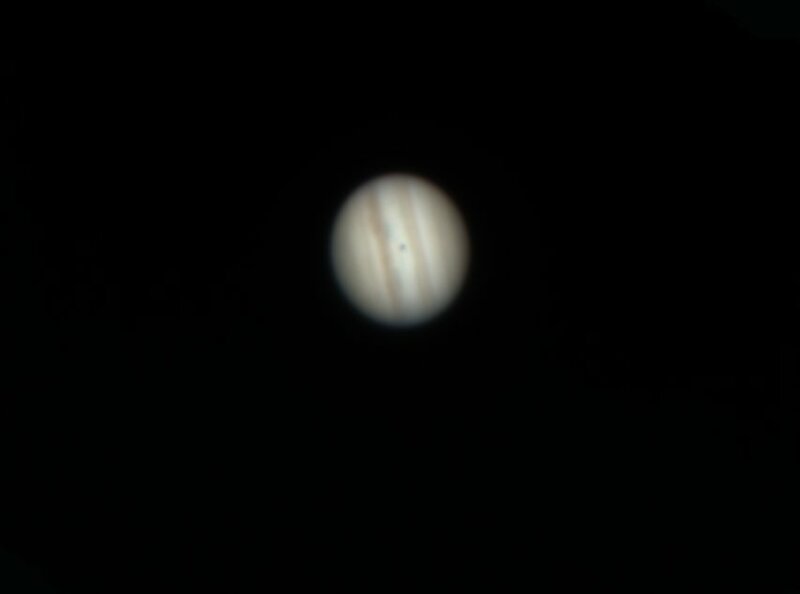 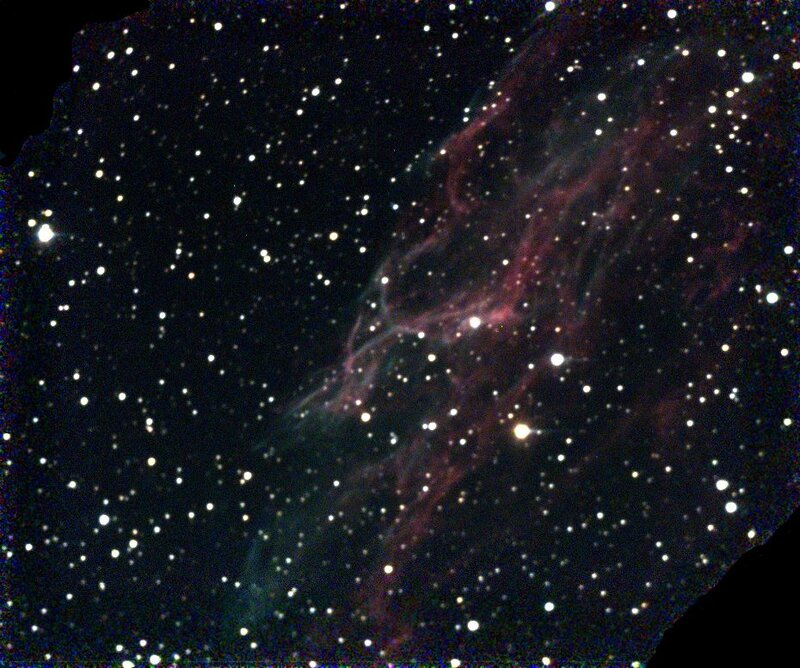 This image could have been better but the telescope, left unattended, ran into a tripod leg partway through the exposure sequence. 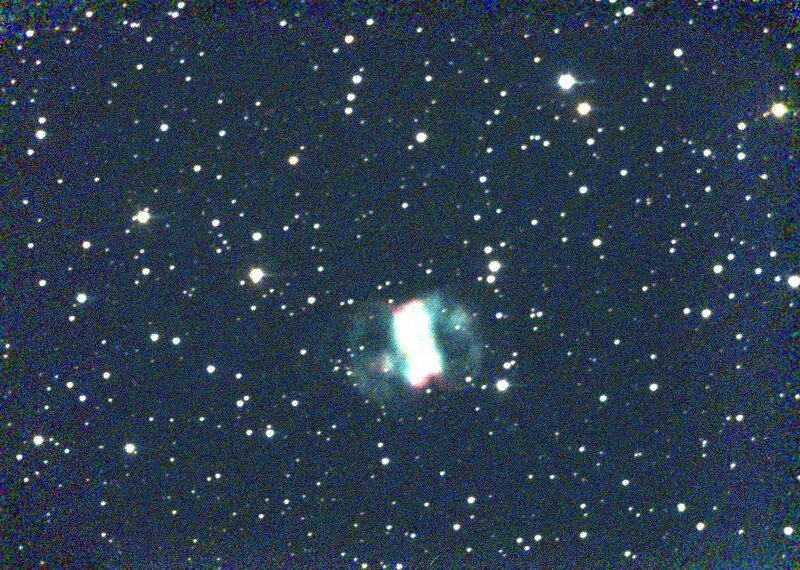 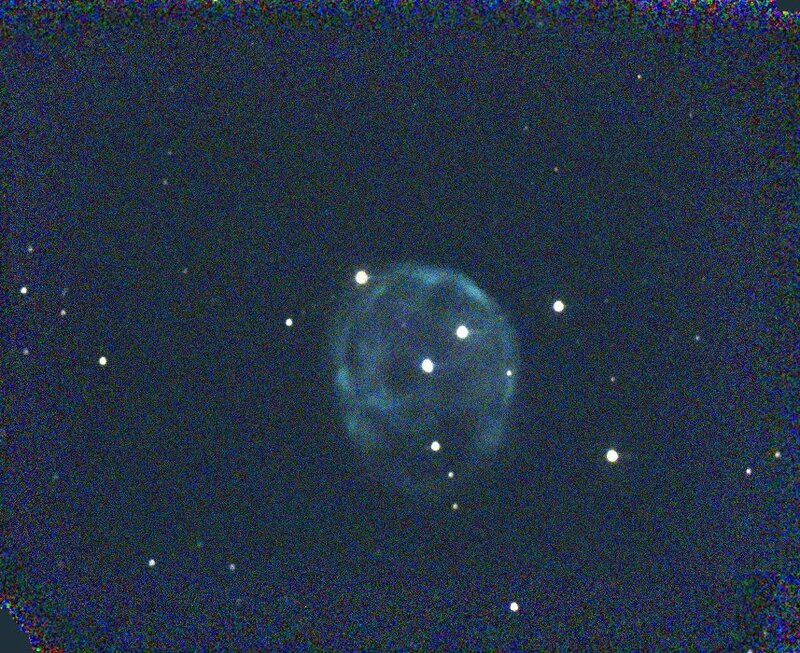 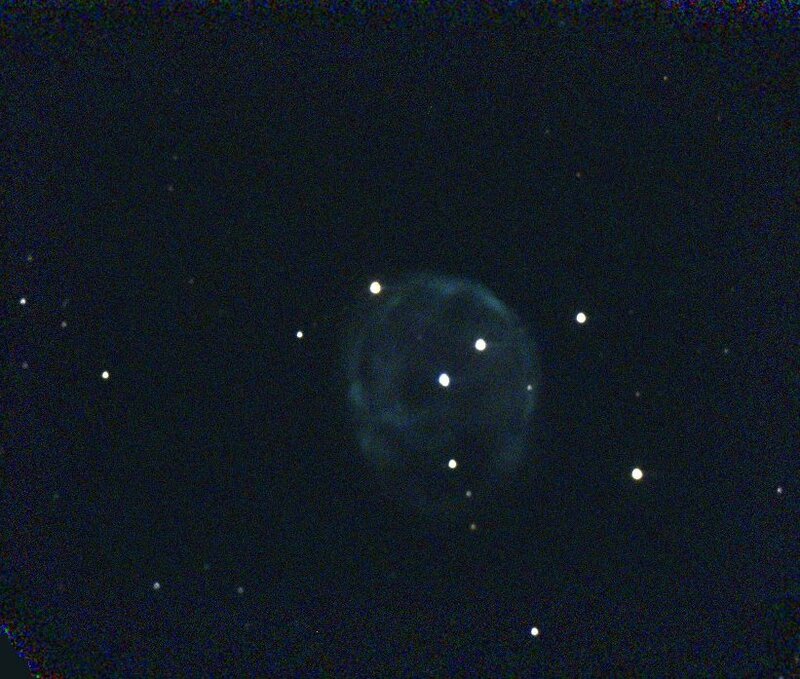 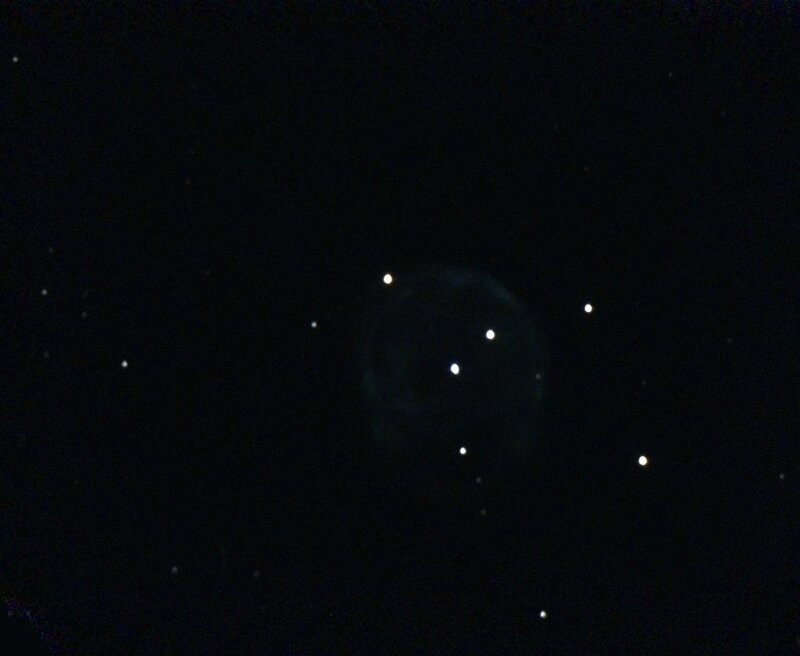 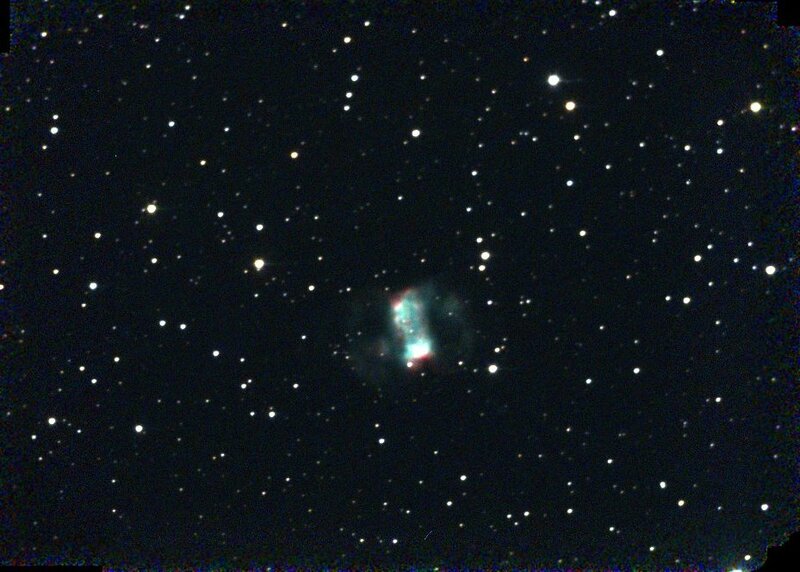 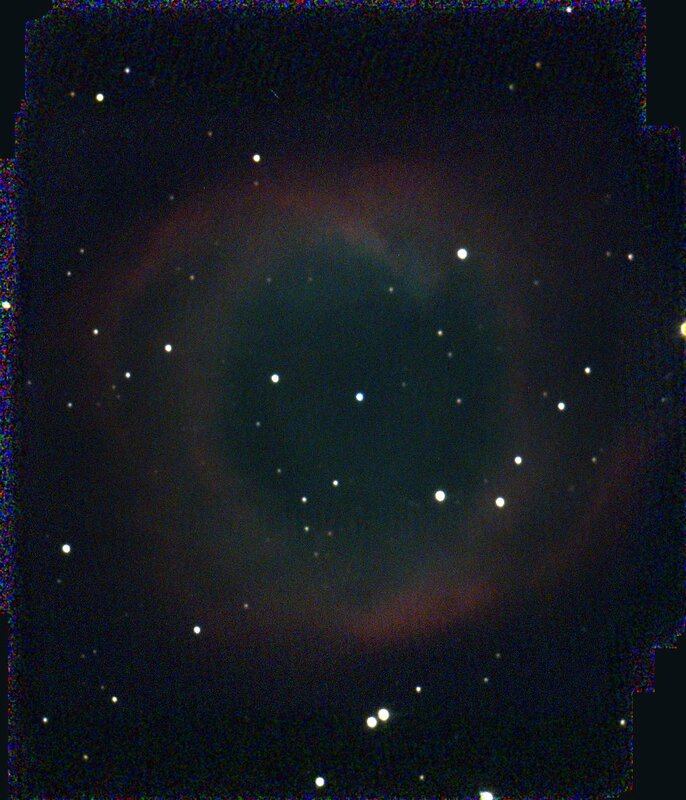 NGC 6369 - "Little Ghost"
A small planetary nebula in Ophiuchus. 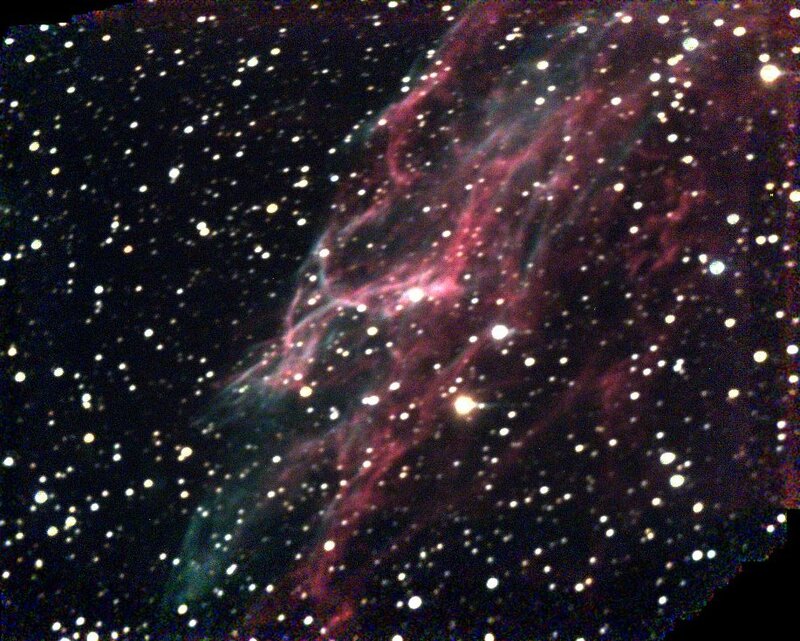 I had never looked at this one before, and Kathy chose it from the Observer's Handbook. 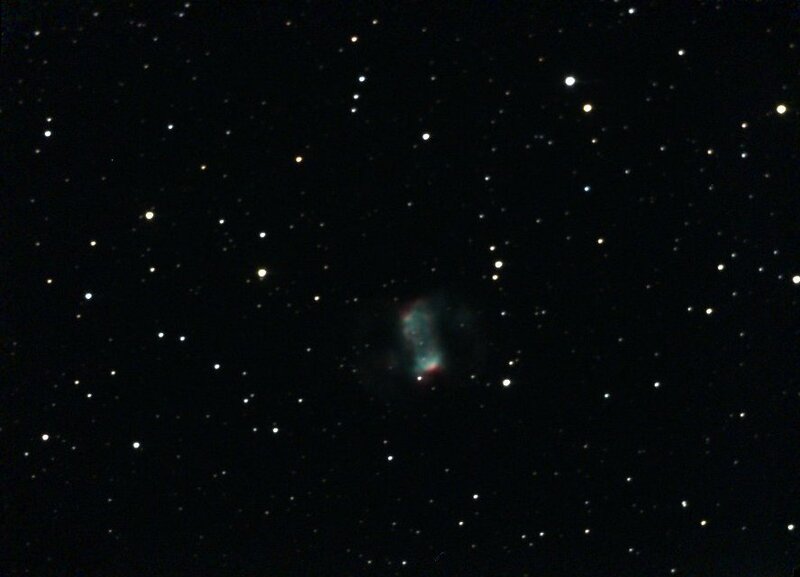 Small but distinct, not difficult to see visually. 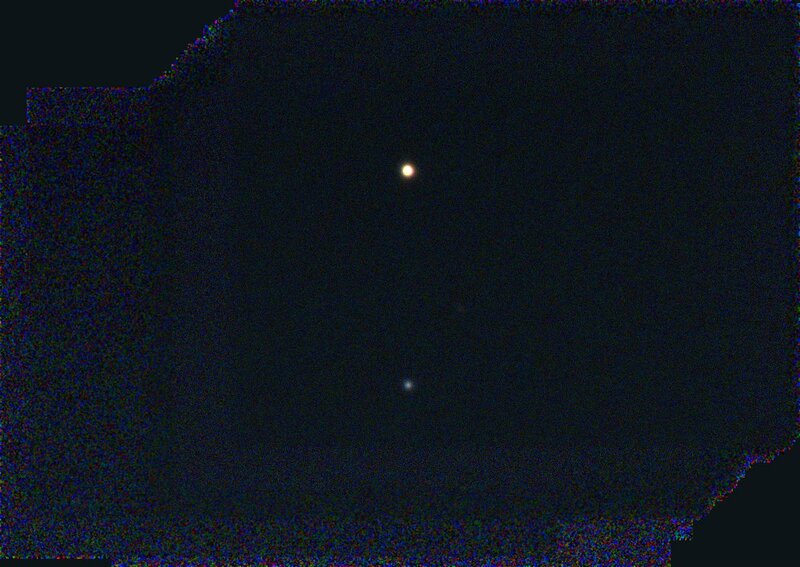 Some faint outer structure is visible in the leftmost image. 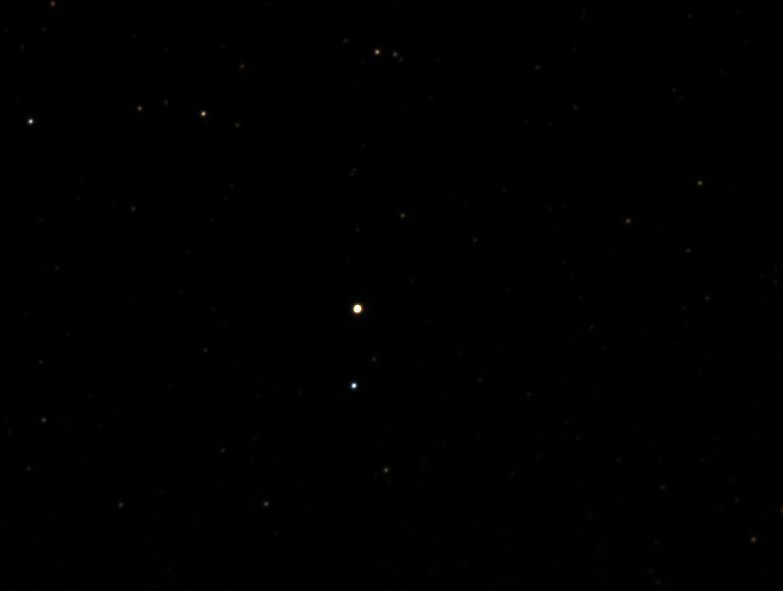 This is another planetary I had not seen before, in Cetus. 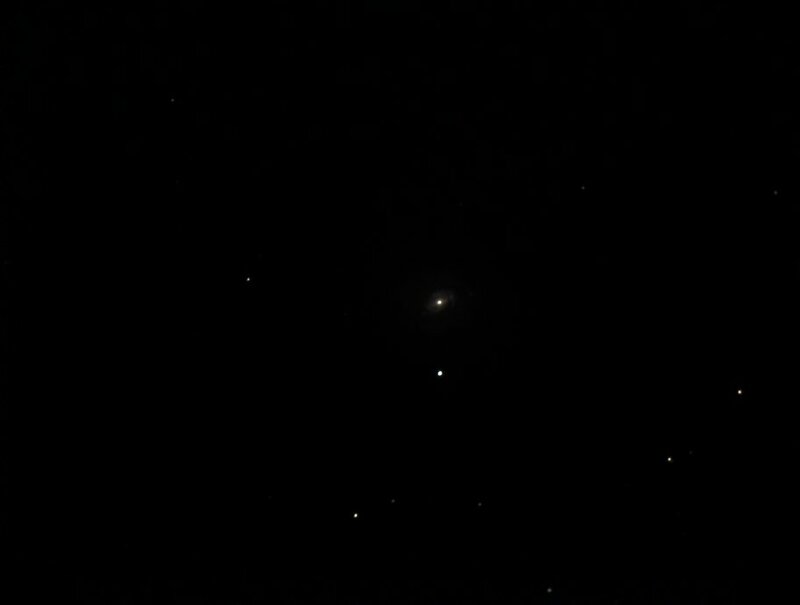 It is faint but has interesting structure. 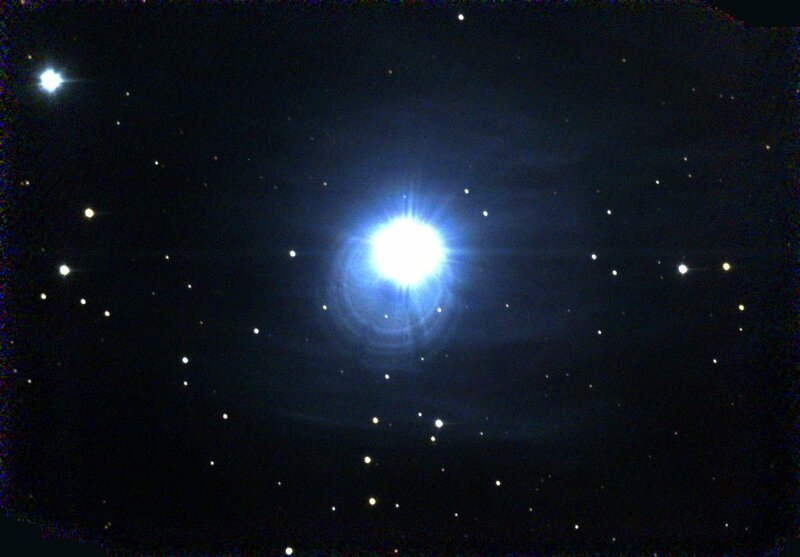 The (very hot) central star has a distinct blue color, as seen in the right-most image. 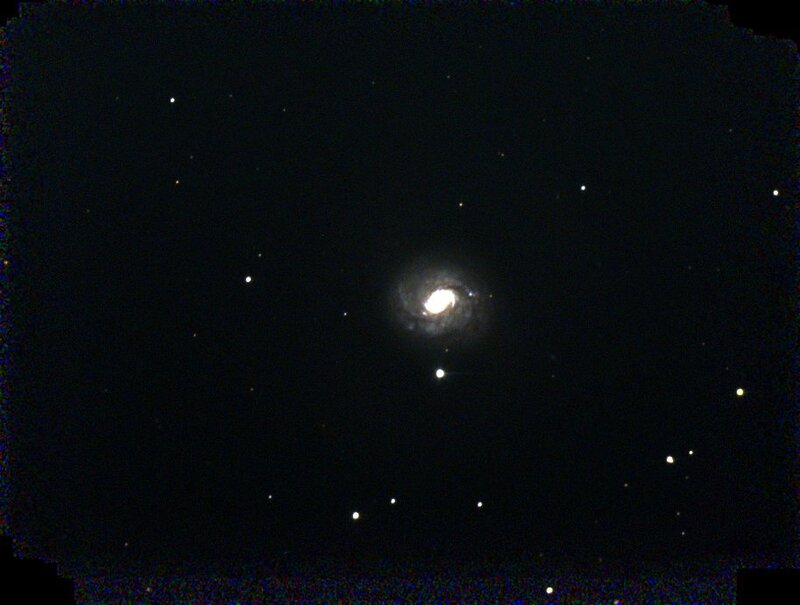 A spiral galaxy in Cetus. 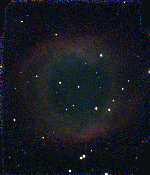 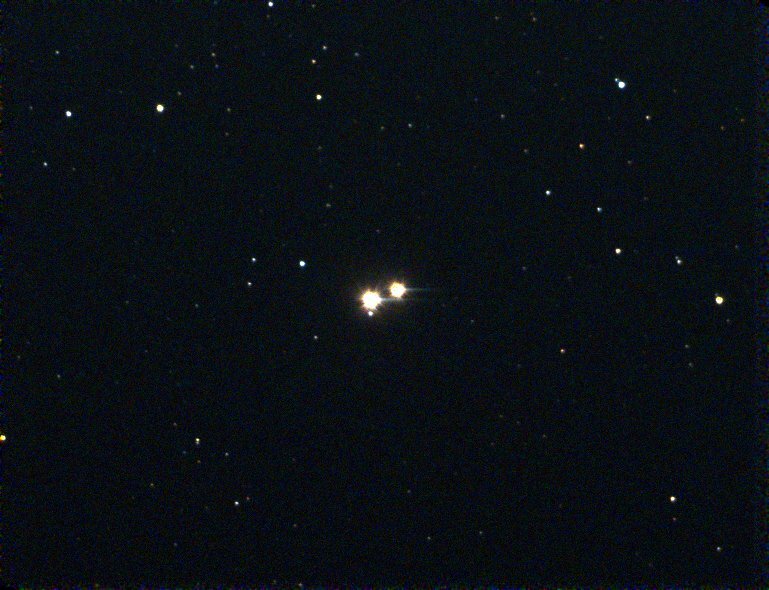 It has a star-like nucleus as can be seen in the above sequence. 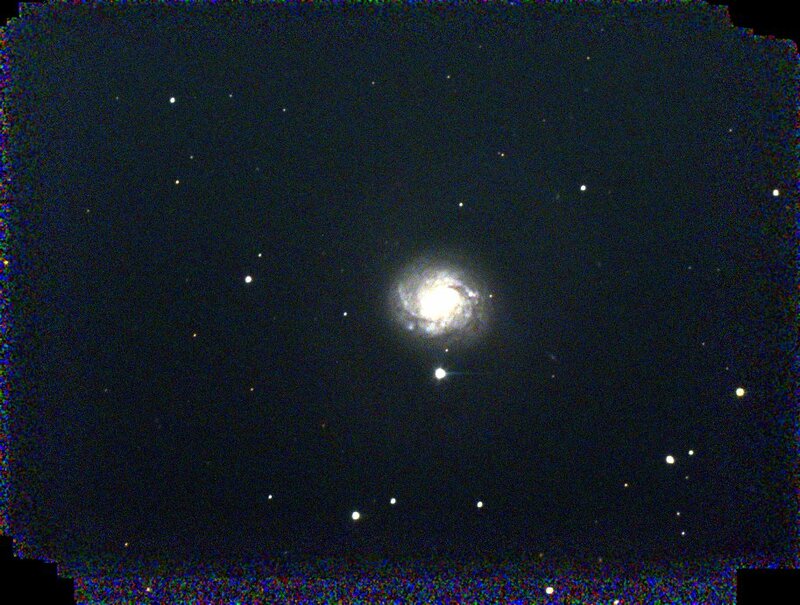 This galaxy has some very faint outer structure that is barely hinted at in the image on the left. 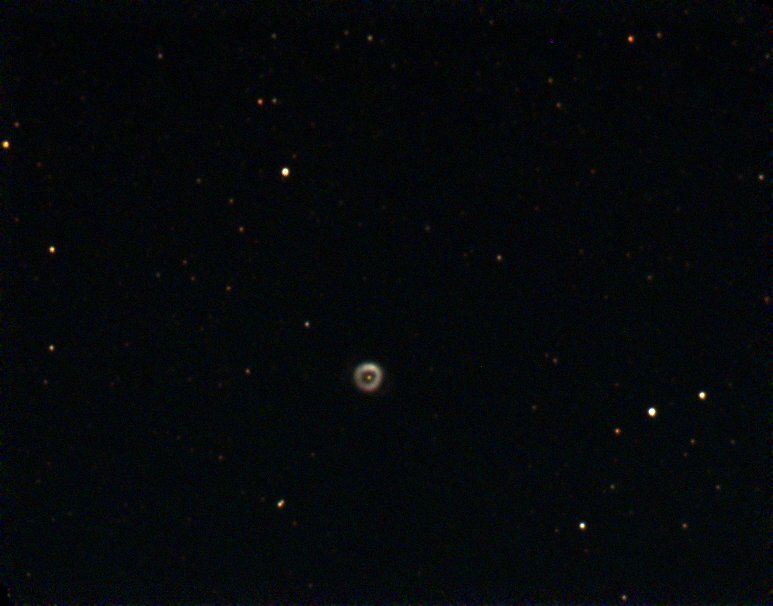 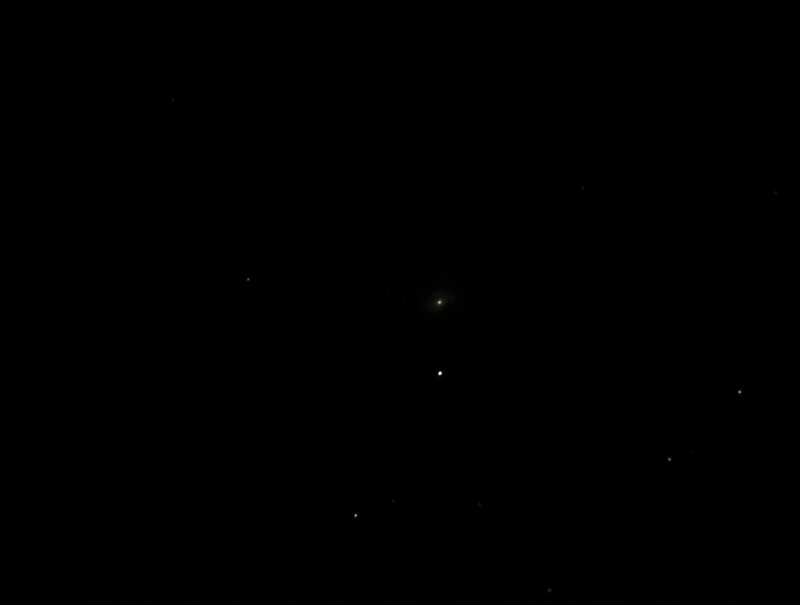 A planetary nebula in Persius. Although it is small, centeral bar structure could be seen visually fairly easily. 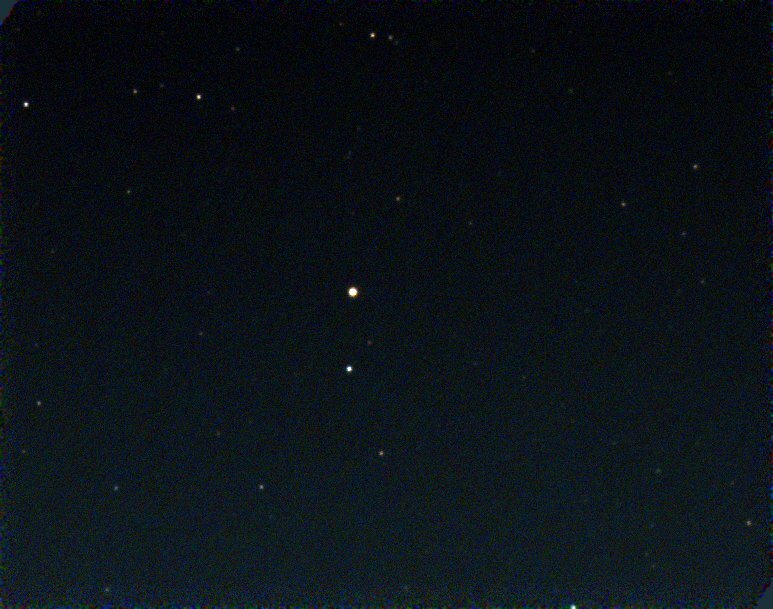 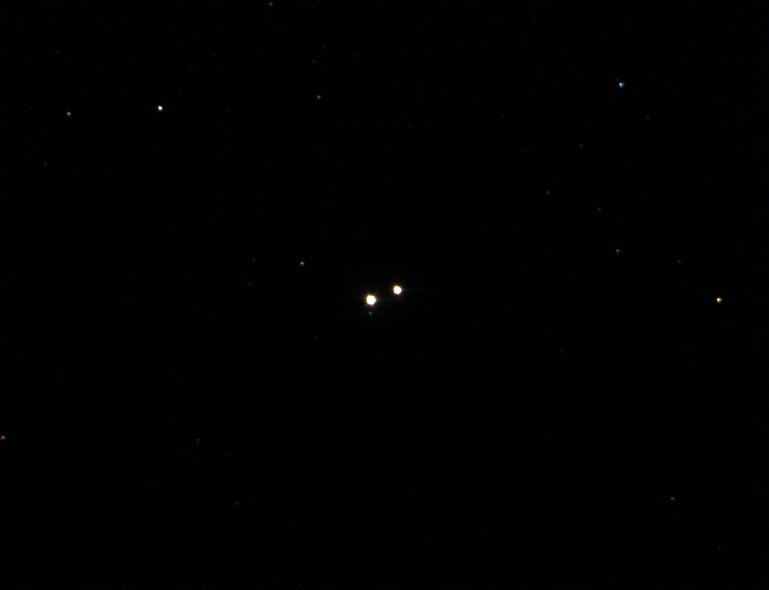 These were taken a couple of weeks after the 2010 Mars opposition. 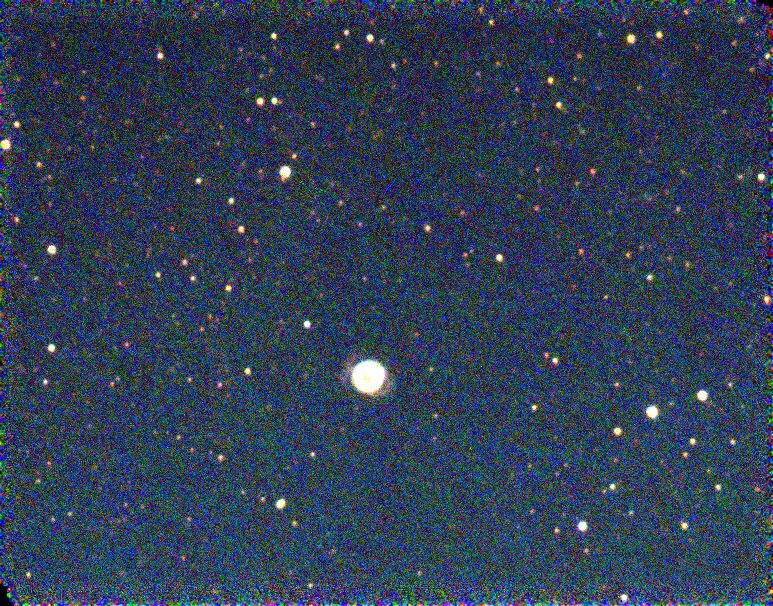 This was not one of the better oppositions, and the apparent diameter on this day was expected to be only ~13.5 arcsec based on a table in the RASC Observer's Handbook. Nevertheless some features could be seen including a polar cap (near edge of circle at 10 o'clock) and some surface shading. 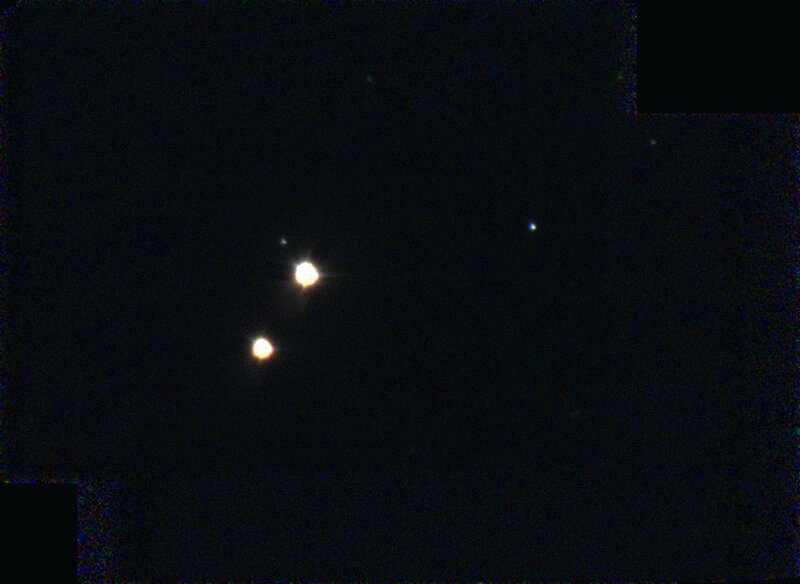 The images here were taken by pointing a digital camera into the eyepiece (7mm eyepiece + 3X Barlow, camera zoomed in) with various exposure lengths. 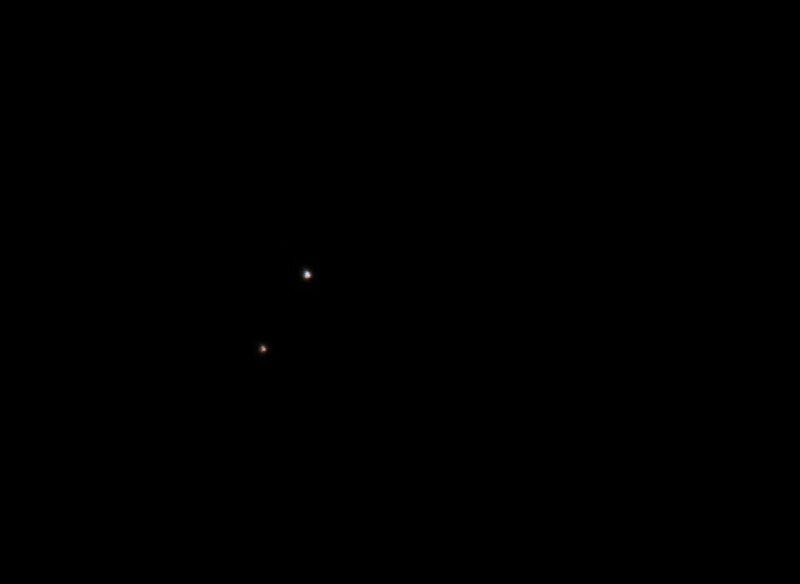 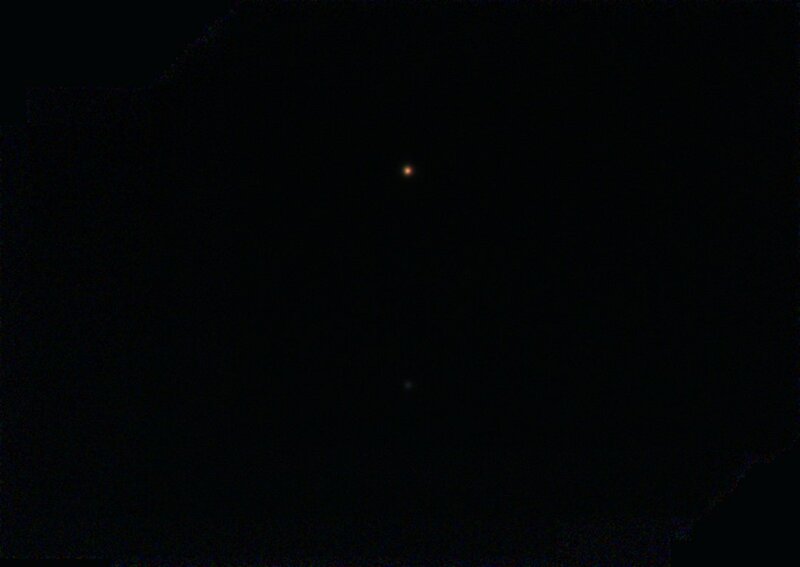 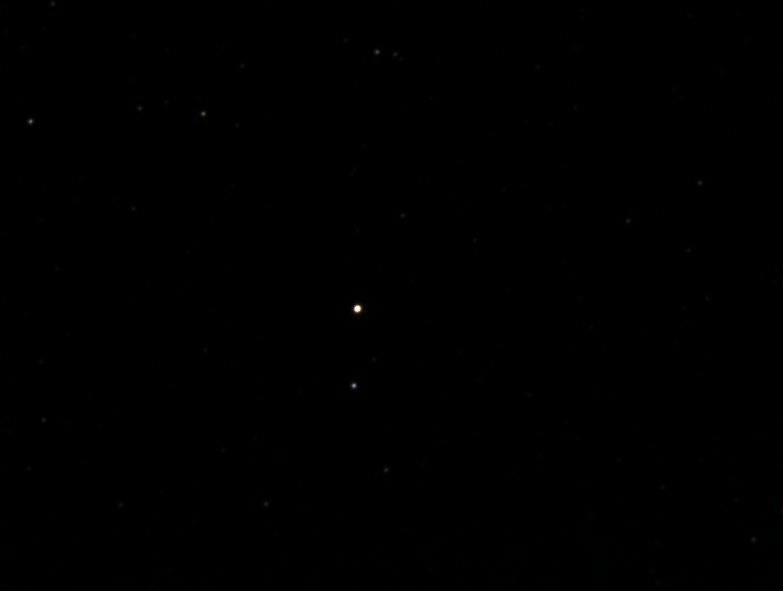 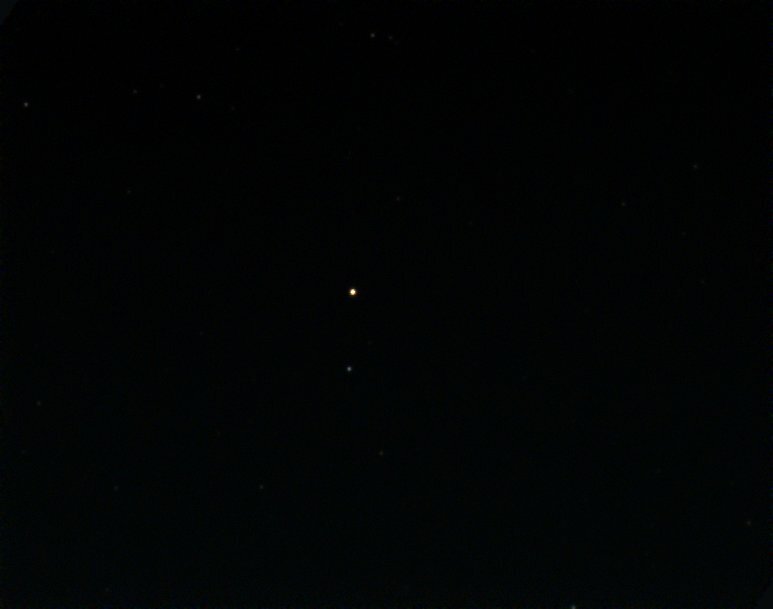 This was a frustrating way to take pictures since it is difficult to find the correct angle for pointing the camera, but the results shown here are somewhat representative of how Mars actually looked. 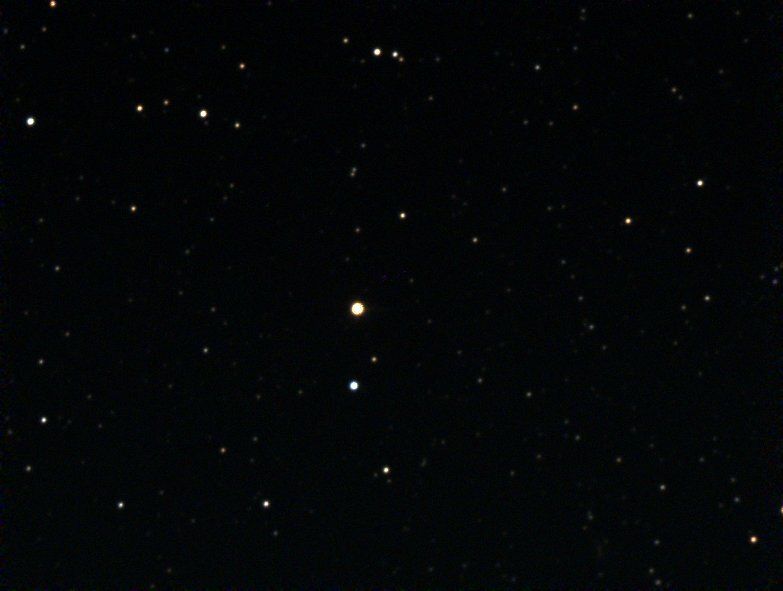 During moments of clarity, somewhat sharper details could sometimes be seen.